I was at the fabulous Sub Studio blog yesterday, where they have put together a sidebar collection of things inspired by Matryoshka dolls (like these fab Pantone Matryoshkas from Yar Rassadin). This reminded me that I’ve been meaning to post about something that was based on the matryoshka idea. It’s a bed, of all things! 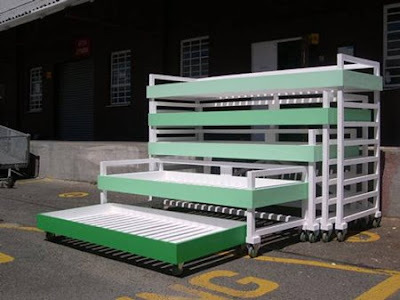 Local design studio, Tsai Design, came up with this eminently practical design when approaching the 36sqm Challenge – a competition to find space-saving solutions for people who live in very small spaces (it’s fairly normal in South Africa for a family of 6 – 8 people to live in a 6 x 6m space. Normal, but a pretty tight squeeze!). 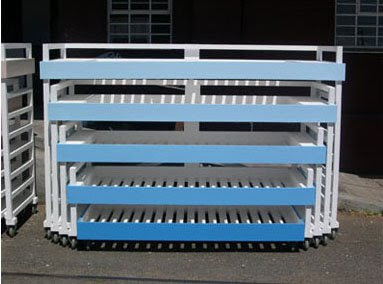 This flexible solution provides beds for five people without taking up valuable floor space during the day. Unsurprisingly, it won the Challenge, and then went on to win the Most Beautiful Object in South Africa award at the Design Indaba, as well as a Red Dot award. 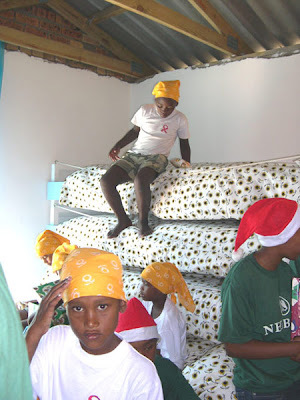 But of course, the best design is not all about winning awards, it’s about being put to use, and the Nesting Beds are doing just that in this orphanage in Wellington.